How do you qualify an inbound lead? So you write a post, distribute it to your subscribers, share it on social media and then watch as visitors come to your blog or website and download your free report in return for their email address. This is how leads are generated through inbound marketing. The best part is that over time that same post will get indexed by the search engines so that more people will find it, visit your website and hopefully convert into sales leads. But there is one big problem. It’s called lead qualification which is the critical process of determining which of these leads are actually potential customers. 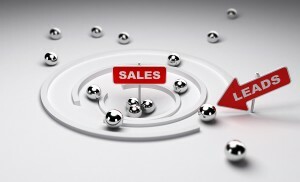 Every lead generation brings in leads of different value. A few are hot and ready to buy today. A larger number have a long-term interest. And an even larger number just wanted to get the free report and have little potential for becoming a customer. When you use outbound marketing like email and direct mail, you can pre-qualify your lists to know that you are at least reaching the right industry, the right size company, the right job title and the right location. So you know that all of your leads already meet certain qualification requirements. But not with inbound marketing. When you get a lead via inbound, you have no idea who they are other than they were interested in getting your free report. Do they have a real need for your products or services? Is the individual responder a decision-maker or at least an influencer in the buying decision? Are they located in your service area? To qualify a prospect, you need to get answers to the questions above. And the best way to do this is by phone. A simple follow-up call is made ostensibly to make sure the prospect received the report, but then the conversation leads to the short survey of questions. You may not reach everyone and some may refuse to answer your questions, but the phone is the best way to get your answers. Can you instead use email or direct mail to qualify? Yes, but don’t expect the results to be anywhere near as complete as the phone. Reaching out to new leads by phone is a good practice, but it takes time (if you do it yourself) or it costs money (if you outsource). This is time and money well spent for leads that come from email or direct mail where you used a pre-qualified list. But what about inbound leads? Is it a good investment to follow up by phone with everyone who visits your website and downloads your free report? This is made even more difficult because depending on your signup form, you may only have a name and email address. You can do some level of qualifying if they use their business email address – and very often that email is a personal account like Gmail, Yahoo or Hotmail. Just as important, if you do follow up with a phone call to these new inbound leads, what will be the prospect’s reaction? Will they be turned off by aggressive selling at this early stage in the sales process? When people provide only an email address in return for a free report, they expect some follow up emails. Perhaps many follow up emails. But they don’t expect a phone call. Another strategy is to use email to ask your inbound leads to fill out a qualifying survey. You won’t get a bunch of responses, but it’s a start. You could also develop a series of follow up emails that promote more offers – and more later-stage offers (like webinars) – to get these leads to respond again and again. With each successive response, ask for more contact data or other information that will help you qualify your leads. Of course, you could ask for more complete contact information with the first response, but that will result in fewer leads at the outset – and pretty much defeats the entire inbound strategy. Keep in mind that your customers and prospects control this whole process. They have the ability to do all the research without your help before they get on the phone with anyone. Respect the process. Recognize that your inbound prospect may be just starting to gather information about your industry and about your company. And be patient. If you work the lead nurturing process correctly and if you’re a good fit, you’ll be in the conversation when they are ready to talk. Download my FREE report, Step by Step Lead Generation & Lead Nurturing. Download his Freelance Copywriting Information Kit.